The premiere of the series about a recently divorced father who makes a fresh start on the west side of Chicago with help from his best friend, younger brother, and dad. Indiewire review - There's a glimmer of a better comedy to come from the "Get Out" scene-stealer, but it's not there yet. 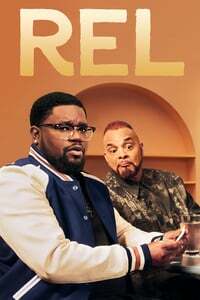 Hollywood Reporter - Star Lil Rel Howery and a creative team of veterans from 'The Carmichael Show' have potential, but the pilot for Fox's new multicam sitcom is flat and familiar. The fall 2018 tv season is upon us, so, I'll probably be posting a lot of 'Pilot' threads again. I agree with the reviews above; as sitcom pilots go, it was serviceable. Not bad/aggressively unfunny, but not particularly hilarious either. I will probably check it out again when the season starts up though to see if it improves. Yeah, this was okay. I like Rel, but the rest of the cast seems pretty unformed at this point, and Sinbad doesn't seem like a good choice to play the Grumpy Old Man. The Carmichael Show's DNA was pretty easy to see, which tells me they'll probably be able to get on track once they have their feet under them and don't have to spend a whole act telling us who these people are. Episode 2 was a big improvement over this first one already, so, I think this is going to be one of the winners of the 2018 season (assuming Fox doesn't kill it off for some reason).